Email and SMS platform has arrived, and it’s free! TripAdvisor Reviews – Love it or hate it, we all need it! One of the most popular features of our Guest WiFi System is the ability to capture customer data, and traditionally, it has always been in the hands of the business owner to manually download the data and use as they see fit. Well that’s about to change with our very own Email and SMS platform. Most active businesses in the hospitality industry favour email marketing as a way to engage with customers and this meant downloading the data from our portal and then uploading into a chosen email platform. Whilst this is the acceptable method to download/upload data, and becomes a quick task for an expert, we thought we would try and make life easier for busy business owners or marketing managers. The same applies for SMS. Business owners who collect mobile numbers download the data then upload to their preferred text messaging platform. This is great and a proven method but we just thought, why not make it easier for our customers? So that’s what we did! 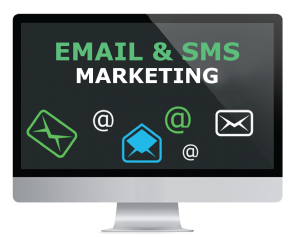 We have an email and SMS marketing platform within the portal which all out customers have access to. Within this section we have a communications page where business owners can choose to create an email or a text message to send to their customers. Creating the email/text is made simple by our easy to use drag and drop builder. Simply add elements to the email, such as title, text or image, then write a subject line. Or create a text message by typing the content. The last step is deciding who to send to and when, it really is that simple! The best thing? This is free to use! There are many email and SMS platforms out there but something that sets ours apart from the rest is our ability to send targeted emails/texts based on different variables, or set up email automation. There are of course many different approaches to the above, but you get the jist! This means that you don’t have to spend hours each month sending emails, simply create the email, set up the condition i.e. first time visitor, then publish the email. Then the email will send to every new customer on their first visit, genius! This is like music the ears of every marketing professional! 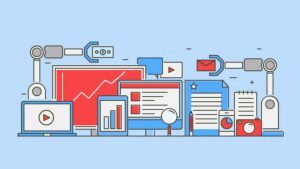 Using an external marketing platform or even company, can become a big expense. 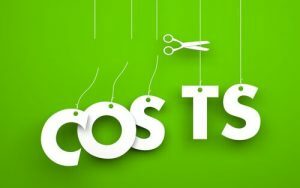 Big company or small company, it doesn’t matter, the cost is relevant to how many emails or text messages you want to send. We’ve always had an email platform built in to our portal and it’s always been a great feature. We’ve had clients send emails and SMS messages with great success. The difference has been, we’ve always charged per email or per message. Therefore, we’ve always been in direct competition with external platforms, and I won’t lie, there are some great ones out there. We’ve always been honest with our customers and are happy when they are happy with their provider, at the end of the day we provide them with their data which is more valuable than any email platform. The bonus with using our in-house platform has always been having it all in one place, no manual downloads, no uploads, just create an email or text and send away! Things have changed. We always strive to keep our customers happy and recently decided to take away costs for emails and SMS for our enhanced package customers. The uptake on current and new customers using the emails and SMS platform has been incredible! For us it’s just one more string to our bow, but for our customers it means they can send targeted and automated emails to their customers for free, potentially saving thousands of pounds they would otherwise have spent elsewhere. Here’s where things get really interesting. As we’ve previously mentioned, some of our customers do use other platforms and are happy to continue to, maybe they collect data from other sources and wish to have it all in one place. So, we’ve made things easier. We now integrate with MailChimp and Dotmailer, which means if you’re using one of these platforms, we can link up our portal so any data collected through the WiFi is sent directly to your data lists in your MailChimp or Dotmailer account. Pretty awesome right! Anyway, I’ve waffled on enough. So, we want to hear from you if you’re in the hospitality industry. Current customer or new customer, it doesn’t matter, we want you to take advantage of this incredible feature. Plus, this is just one of our many fantastic features available in our packages.